2nd Update: Didn't hear from Elizabeth so I'm moving on to the next winner. Congrats to Joseph Wallace, who won the DVD pack. While Angelenos haven't felt the brunt of the six additional weeks of winter that Punxsutawney Phil predicted earlier this month -- it's actually been really warm here! #sorrynotsorry -- parents in other parts of the country have been wondering how to entertain the kiddos while the snow keeps falling. Enter hilarious and fun DVDs from NCircle Entertainment! 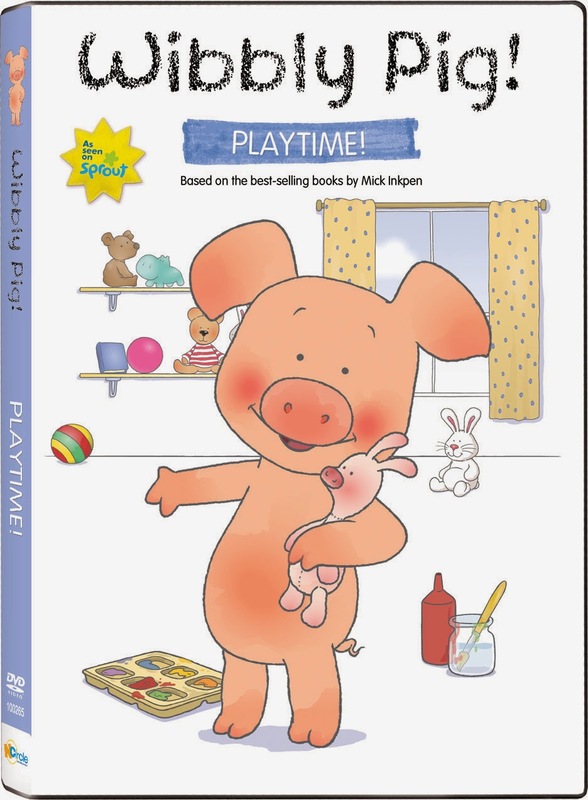 The family-friendly company's latest DVD collection, which I'm giving away here (see below), is full of entertaining songs and adventures that my kiddos have loved, and I'm sure yours will, too. 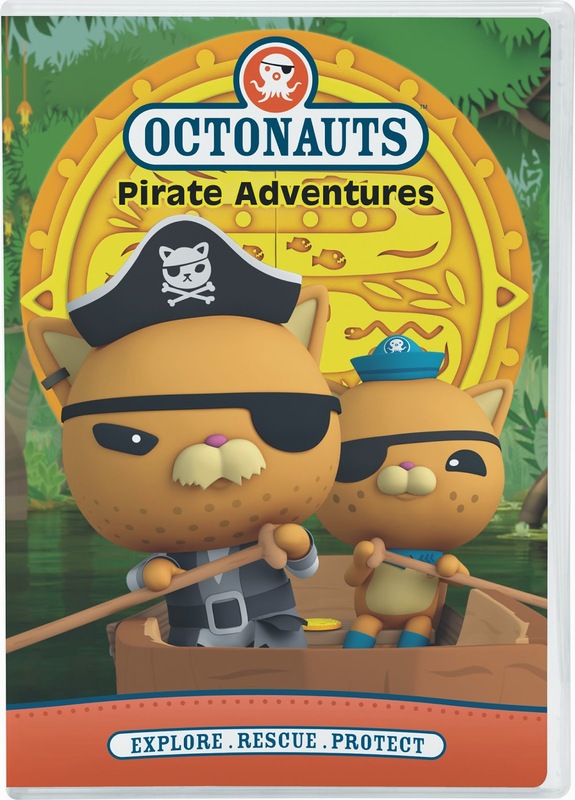 Octonauts: Pirate Adventures (SRP: $9.99) has the crew diving deep down into the Amazon River in search of a lost city. Not only that, but Kwazii gets the chance to meet his long-lost pirate grandfather, Calico Jack. He then battles a trio of swordfish and finds the perfect sidekick for a watery pirate adventure -- a parrotfish! CC said she loved the Brazil rainforest adventure the best! 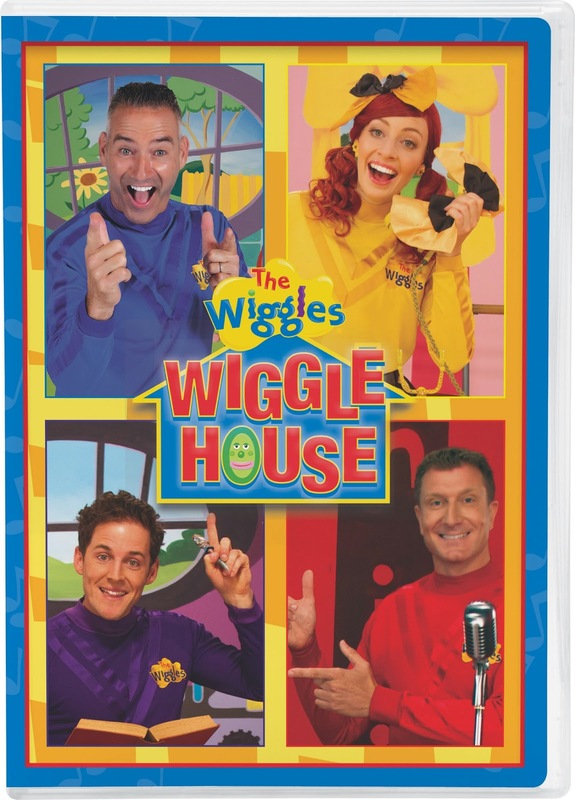 In "The Wiggles: Wiggle House" (SRP: $9.99), Emma, Lachy, Simon and Anthony fill the Wiggle House with lots of songs and other fun skits. There's "The Laughing Doctor," "Pappadum" and "Do the Hawk," with Lee Hawkins (from the Wall Street Journal, no less!). Will's new favorite animated character is Pocoyo. 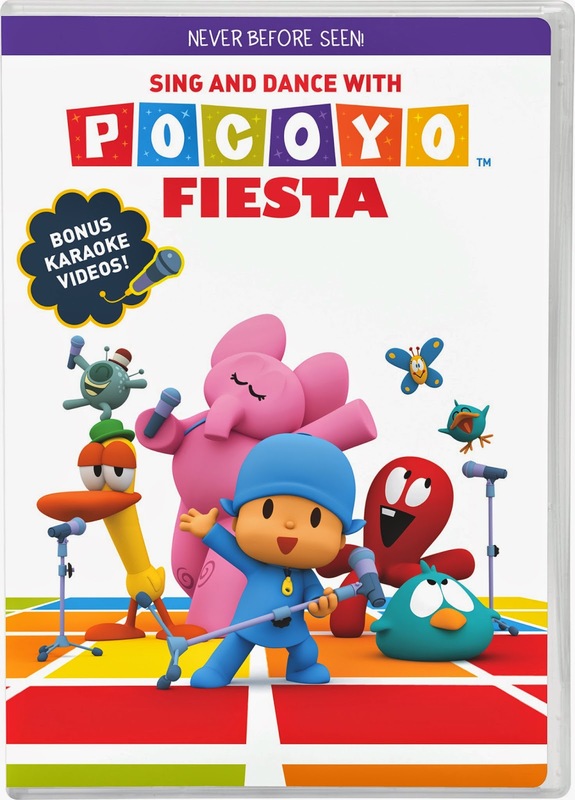 In "Pocoyo Fiesta" (SRP: $9.99), your kids can groove to 13 songs from Pocoyo and the gang. And, as a bonus, there are also karaoke videos. How fun is that?! Yes, Pato, Elly and the little guy Pocoyo himself will be rocking to the Big Race and celebrating Elly's birthday. Enjoy! "Wibbly Pig! : Playtime!" (SRP: $6.99) is based on the best-selling books by the cleverly named Mick Inkpen. 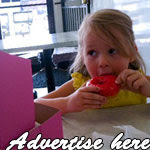 The preschool show turns everyday activities like going to bed, wrapping a present or climbing a tree into an amazing adventure for kids that's also funny. Don't be surprised if you find your kids wanting to take a trip to the moon after watching Wibbly Pig. Good luck, and I will announce the winner on Friday, March 6! A new "Girl Power" series has hit bookshelves, and CC is its newest fan! 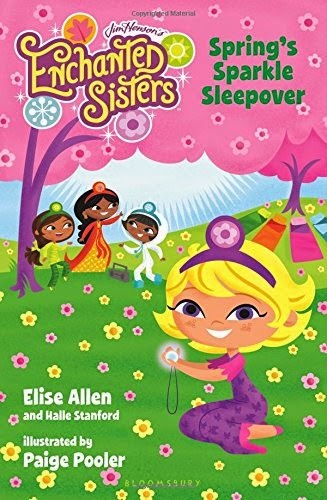 "Enchanted Sisters," written by Elise Allen and Halle Stanford and illustrated by Paige Pooler, is a spunky, spirited and sparkly series from The Jim Henson Company that focuses on four sisters, who each represent a season -- and a different personality to boot. Spring, Summer, Autumn and Winter are "nature's royalty," and each of them is responsible for the magical changing of the seasons. While they're all definitely close, the girls also have to navigate sisterhood -- and some wily boys called the Weeds. Will and I had the chance to catch a reading event at Vroman's Bookstore in Pasadena. Both Elise and Halle were on hand to chat about the series, as well as Paige Pooler. Elise even read a selection from "Winter's Flurry Adventure" (SRP: $5.99 paperback). Elise Allen reads from "Winter's Flurry Adventure." While CC was bummed to have missed the event (she was running errands with Ian), we did receive a copy of "Spring's Sparkle Sleepover," which she's been reading each night before bed -- and loves, by the way. In "Sleepover," Winter hosts a slumber party for all of her sisters, and the young Spring is finally old enough to go, but she's nervous. (This is a perfect topic for CC right now, as she's had some sleepover angst herself.) And things don't turn out so well when a storm scares Spring and makes her leave early. But when Bluster Tempest steals Mother Nature's scepter, it's Spring who must find the courage to lead her sisters on a quest to get it back. While the story itself is entertaining and accessible to young readers, CC also loves the whimsical illustrations -- particularly the drawings of unicorns! Will checks out the scenery at Vroman's. I had the chance to chat with both Elise and Halle, who is also the executive vice president of children's entertainment at The Jim Henson Company. Stay tuned for more next week! 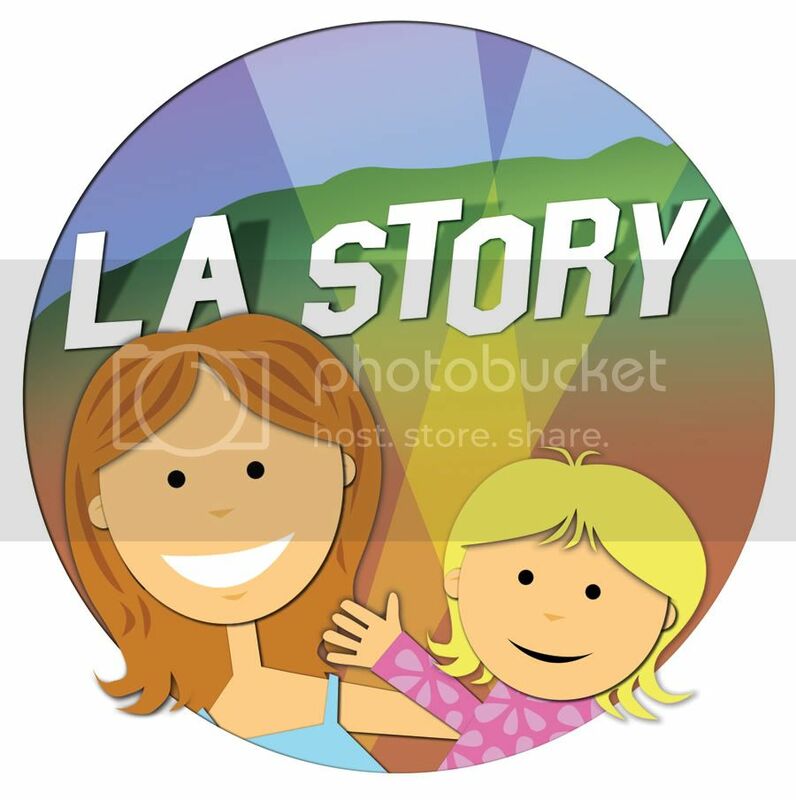 They talked to L.A. Story about how the concept of "Girl Power" was so important, as well as how they tackled common issues for girls in the books. They also reveal more about the writing process itself.